Brendan Boltan (Edible Landscapes), Aquaponics specialist visited the College to assist Sustainability leaders and 7D with the installation of their new "Aquaponics“ tank in D14. 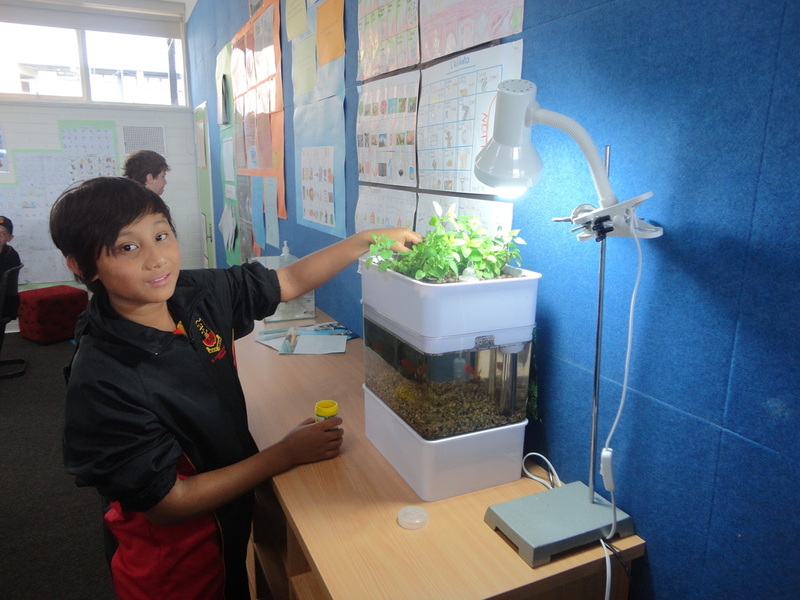 The sustainability team has been enterprising and sold school waste in order to purchase fish and plants for their “Aquaponics” tank. Incorporating a fish tank and herb garden, the aquaponics system is a more sustainable approach to growing plants as the fish waste provides the nutrients for the plants to grow. 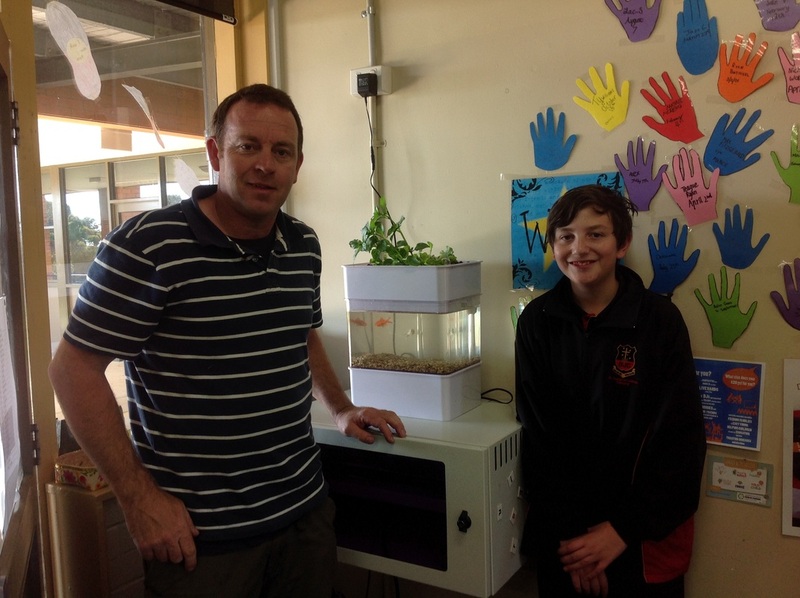 7D were selected to host the aquaponics tank in acknowledgement of their outstanding support of all sustainable endeavours throughout the year, in particular, nearly 100% participation for all Cut The Wrap days.